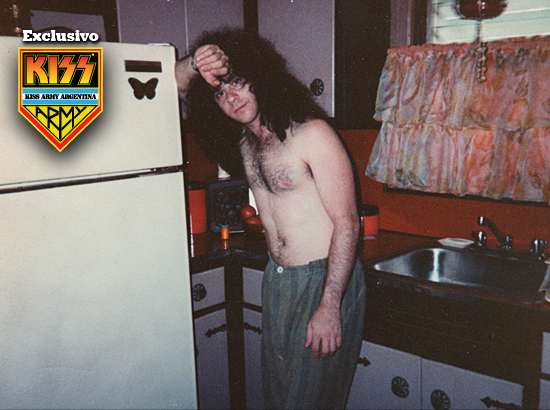 ANTICIPATING THE ARRIVAL OF THE COMIC ”ROCKHEADS” AND THE PERMANENT MEMORY IN OUR HEARTS ERIC CARR, KISS ARMY ARGENTINA PRESENTS EXCLUSIVE INTERVIEW LORETTA CARR, SISTER REMEMBERED ”FOX” KISS. Loretta told us PLANS AND PROJECTS FOR THE FUTURE: MORE COMICS? DOES THE ANIMATED SERIES? … AND THERE’S MORE: Loretta CONFIRMED FOR NEW YEAR ISSUE OF A NEW DISC WITH ERIC CARR unreleased songs! Learn ALL THIS AND MORE IN THE NOTE. Loretta, thank you very much for this interview. 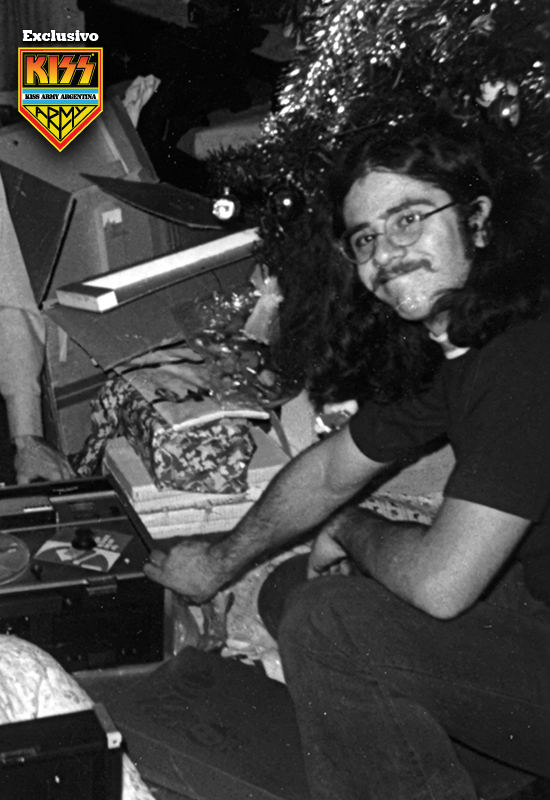 Finally, one of the great projects of Eric Carr is nearing completion. The comic I worked so passionately and almost in the hands of the fans … should resultarte strange, right? Yes, it is strange, but pleasant. Take long to reach this point. Eric had tried hard to give life to Rockheads, and was very close to doing when he died. After a long wait, these people finally see the light of day, and fans can enjoy and see how wonderful and entertaining are Rockheads indeed. Many years have passed since Eric planned to Rockheads. During that time we thought that the project had been dropped, but fortunately did not. Please tell us how it all happened. A comic book writer, Richard Fabian, who publishes a comic called Rocksville Station, he contacted me and was fascinated by what Eric had done. Fabio was already a big fan, and saw the potential to bring the comic format Rockheads; really believe in the project. At the same time, an Australian company called Magic Brands, which produces calendars and related cases for Ipod Eric, also knew about and were delighted Rockheads. So soon the fans will have many other things of Rockheads, as covers for phones, laptop, mugs, posters and more. We are very excited, and make sure that our friends at KISS Army Argentina are the first to see it! Ever since fans learned that the comic ”Ticket to Rock Heads”, which includes Rockheads, would be published, it generated much interest. Many websites, like ours, and blogs covering the story, and it is clear that no one had forgotten this project despite the time elapsed. It is a great way to feel that somehow Eric is still alive, right? Sure, and truly my family and I were thrilled to get such a warm reaction from fans and web sites. How did you initially contacts Station Rocksville Comics, and how long it took to bring this project to life? As I mentioned before, they contacted us, and Richard Fabio, that is who is behind all this with your company Dyna Meech, moves fast and with passion, so that everything happened very quickly. Richard Fabio, illustrator, and Marcelo Garcia, the colorist, have followed exactly the guidelines established by Eric charts back in 1987. How did you get involved in the process? Well, I do not know how to draw, but Richard himself he can do, I simply make a few comments, and make sure the Rockheads be faithful to the spirit in which they were created, and Richard succeeded. Are there plans to take up other projects that Eric did? Does the Rockheads transform into something to be published regularly, or just about this issue? There will be more comics of Rockheads in the future, and hopefully a regular basis. Indeed, the comic will be released in several languages, including Spanish, Japanese and many others. Is there any chance that the Rockheads be transformed into an animated series for TV? I wish, really wish … is something that definitely could happen. How much material related to Eric Rockheads left? Hundreds of drawings, stories and biographies of each Rockhead. There are over 20 different Rockheads, each with their appearance and characteristics. There are also music written by Bruce Kulick and Adam Mitchell, who are part owners of the Rockheads. 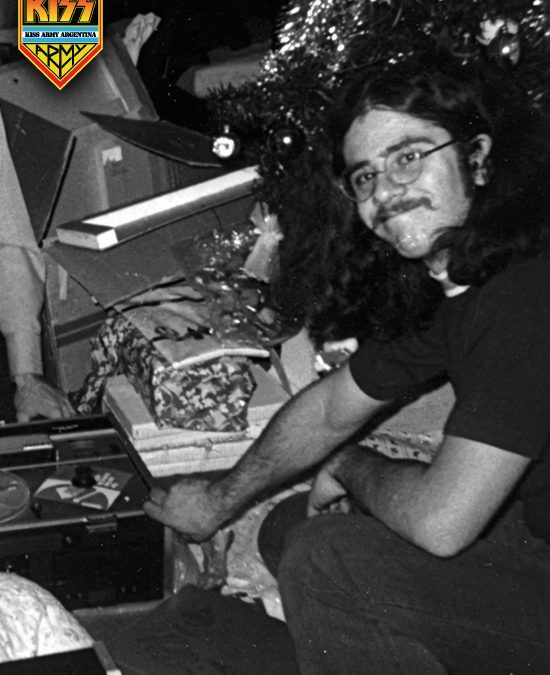 Can the family use the image of Eric Carr freely, or even have some sort of legal bond with KISS in this regard? Well, yes we own the firm and the like, but we can not do is use the KISS logo, which is understandable, however, is much we can do with Eric’s ideas without logo of the band, and certainly you’d be surprised how many people have heard of him. Bruce Kulick had much to do with the resurgence of Rockheads project, as well as the production of Rockology. They made ​​a great team with Eric, right? Yes, the music was incredible, Bruce is a very musical. Eric was the one who devised the art and concepts, but Bruce helped give birth to Rockheads with his ability to compose songs with Eric and Adam. In time, Bruce comprise more material for Rockheads, but later. What do you think the outcome of the comic? The inclusion of some items Eric (such as battery patch fragments) in the Limited Edition of the comic has been a big surprise. What other things Eric canned yet? The fans want to know! Well, my family still has some things more personal, and handwritten notes, some music and other ideas for designs of past scenarios, drum sticks used by him, gloves, that sort of thing. Is there new material recorded by Eric? If such material existed, would likely to be edited? Yes, this year … waiting to hear! (Smiles). Hopefully this year will release a CD with original music and many surprises. 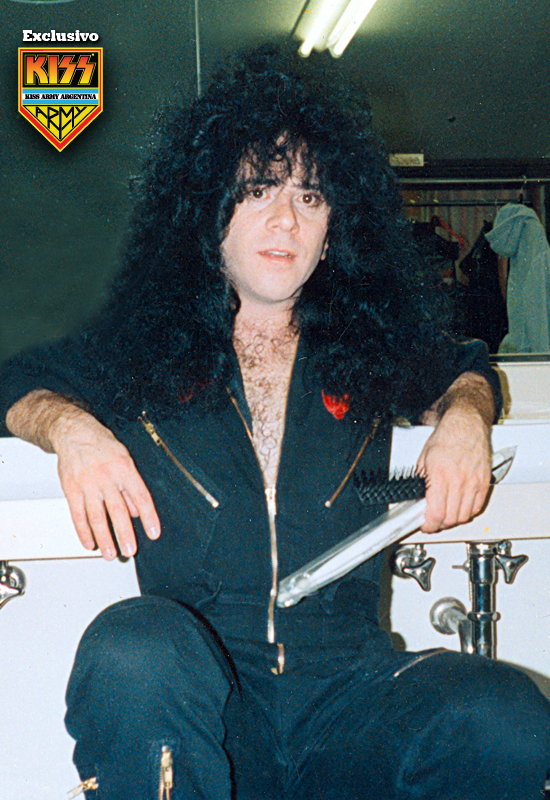 Can you tell us something about the CD with Eric Carr unpublished material to be released this year? The project I’m working for a time is amazing. Not edited anything like this before. This is music that Eric was working and playing, with songs that had not been published previously in this way. For example, we give Eric’s ”Just Can not Wait”, a song that Ted Poley of Danger Danger, helped to complete, along with Nick Clement, who is a composer, so we have Eric playing and doing Ted Poley vocals and vocal harmonies, it is something like what the Beatles with John Lennon’s music was left unfinished. It’s as if Eric had been in the live studio recording with different artists. There is also a song called ”Troubles inside you”, in which Eric sings and plays with Mitch Weissman, who wrote several songs for KISS. Basically it is unpublished editions of songs about Eric and KISS. There are many surprise artists who play with Eric. We also took the drums of Eric, and thanks to the magic current of engineering, its drum sounds are now used by many drummers. I love it! Does the CD original songs by KISS, or relates only to the Rockheads? There is material from both eras. Is Bruce Kulick also involved in this project? Yes, it is in some way. Part of this new material was written by Bruce, so he appears in some songs. Can you tell a story of the time when Eric was working on the project of Rockheads? ”I shared with you that sort of thing? I always remember that Eric was sitting next to mom and dad on Sunday to draw on the table was always thinking of new ideas. I was working with Gene to edit in 1986 were in fact in talks with Hanna – Barbera, the animation company, but the deal was not appropriate at that time. How do you remember to Eric today, beyond its ”character” in KISS? What can you tell us about the things they did together? Eric we ”made” some time ago, but should be very motivating and emotional to see the continuing admiration and respect of his fans and colleagues … and that eventually releases the comic is a sort of bonus for all that affection. Good people create this kind of reaction, right? Sure! When you are kind to others, makes you multiplied by 10. I sincerely believe that Eric will live forever in the hearts of his fans through his music. We asked the same to Carrie Stevens: Was there ever any possibility of a tribute show to Eric? Is there such a possibility now? There is nothing in sight but you never know. Indeed, as commented, Carrie is always in contact with us is very good, never left Eric. Basically I keep in touch with Bruce, Eric was always there, like Ace, but Ace’ve lost touch with. Sometimes I talk to Peter, he and Gigi are very good people. The Palladium show was great, but we could not say we were his family, and it was hard, because when the fans cheered, we just wanted to say, ”Hey, that’s my brother!” The tour Hot in the Shade was also great, had everything you could want in a show of KISS. Finally, could you please leave a message for the Argentinian fans of KISS? My family and I want to thank you for the great support they have given to Eric and us. Please bring him always in his heart, and remember, as Eric said, ”always follow your dreams.” He did, and as you see, can be realized.